A twenty-something, fifth-grade teacher, cooks low sugar/low carb meals on a teachers budget. Fish Fries are very sacred in Wisconsin. (Mostly fish fries with a glass of cold beer) In Wisconsin, every restaurant is packed with hungry families on a Friday night, waiting to load up on fish. Although I love going out for fish, it can sometimes get expensive. 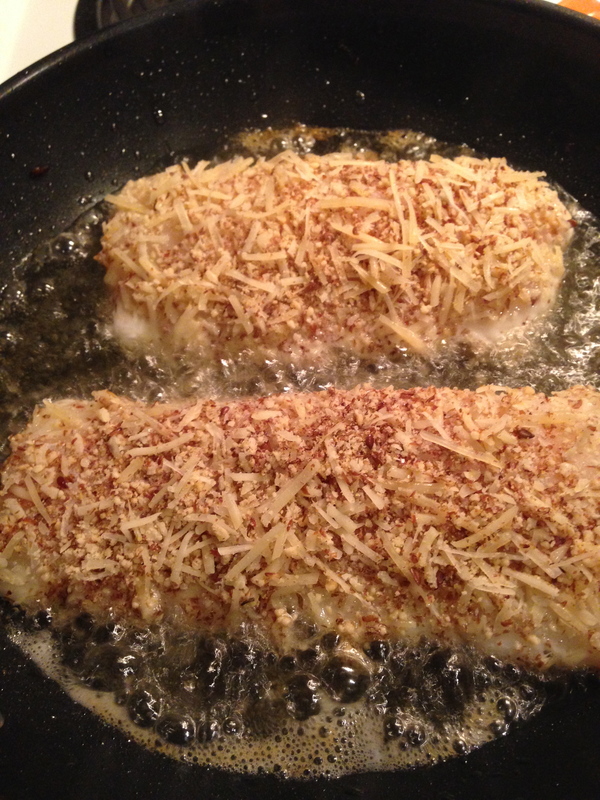 Also, sometimes the options for Friday night fish are limited because many recipes have a breading that I do not eat. 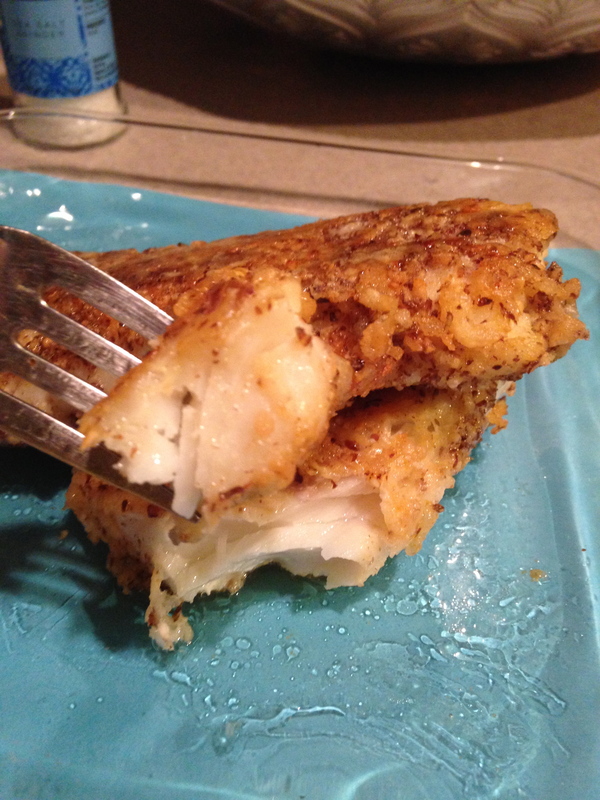 Here is my own Fish Fry that will make your Friday night. Enjoy! Mix together parmesan, flax seed, almond flour, salt and pepper on a plate. Crack an egg into a mixing bowl and beat the egg. Add oil to a frying pan and allow pan to become nice and hot. Soak cod in egg mixture. Then coat fish with dry mixture. Add fish to frying pan and allow to fry for 3 minutes per side. Allow fish to rest a minute before serving. Enjoy!